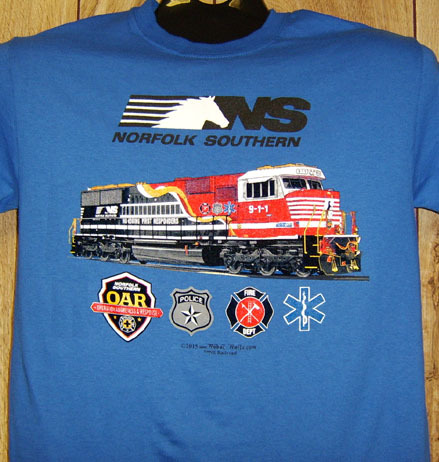 Premium 100% cotton Royal Blue Tee: Norfolk Southern new tee featuring their 9-1-1 Diesel honoring America's first responders. A colorful Royal Blue Tee with bright red and black locomotive with logos representing Police, Fire, and Medical responders. Click on image for zoom.